At VBC Group we do much more than simply produce and sell alloys for brazing and welding. We are solution providers for our customers and our technical team are always at hand to assist you in your processes. VBC Group has its origins in providing technical consultancy in brazing and welding projects. Today we both support our product sales technically and provide technical consultancy where customers require more in-depth support or assistance with a project. When Brazing and Welding Fundamentals are understood, problem solving becomes a matter of elimination. Here you’ll find comprehensive overviews of the basic principles. 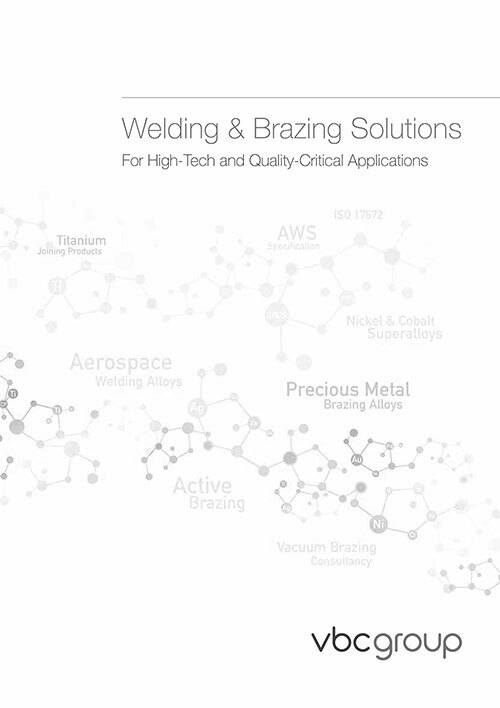 Topics related to using VBC’s brazing and welding products, to aid with understanding the technical aspects of brazing and welding. Here you can learn how our brazing and welding products work, why they work, along with useful hints and tips. VBC Group has a long history of working with Universities, PHD students, businesses to create innovative and exciting developments within the Brazing and Welding world. Datasheets are technical reference documents, so they won’t contain time-sensitive or commercial information such as unit price or availability, but they will provide engineers with the information they need to compare and contrast different products that offer similar functionality. VBC Group Brochure to find out more about VBC Group and our entire product range.